Liberal programming on the dime of unwitting conservative donors is bad enough. Flat-out KGB-mentored propaganda on behalf of a terror-sponsoring regime that murdered more political prisoners than pre-war Hitler's, jailed political prisoners at a higher rate than Stalin's and came closest of any in history to wantonly igniting a thermo-nuclear war cranks up the offense several notches. Or should. "I was born in 1947, under capitalism," Landin says. "(Cuba) used to be a pot of crickets. It was the saddest place on earth." He wants to be sure we understand how Cuba was before the revolution. What makes their Castroite pamphleteering even worse is how NPR bills itself as intrepid investigators who don’t just report. 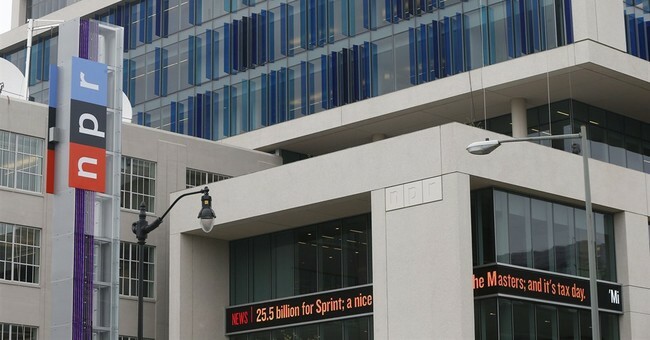 "Great storytelling and rigorous reporting,” boasts the NPR intro page. “These are the passions that fuel us (here at NPR)...But always we dig, question, examine and explore. We never settle for obvious answers and predictable stereotypes. We look to connect history and culture to breaking news." Well, exactly how much "digging" would have been required by NPR’s intrepid investigative reporter David Greene (or his staff) to correct this "rigorous" bit of "reporting?" Exactly how much "questioning" and "examination" would have been required to obliterate one of the most grotesque Castroite lies of the century—to “connect history” with the truth, as NPR claims as its goal? Not much. In fact pre-Castro Cuba enjoyed a higher-standard of living than most of Europe, from which it attracted a flood of immigrants--to say nothing of next door Haiti, whose residents often jumped on rafts desperate to enter pre-Castro Cuba. Think about that for a second, amigos: people used to jump on rafts and take to the high seas trying to enter Cuba. Yet NPR would have us believe Cuba was as poor as Haiti! When no NPR “reporters” are within hearing range, Commies can be extremely frank with each other. Early in the Cuban revolution, for instance, Czech economist Radoslav Selucky visited Cuba and gaped: "We thought Cuba was underdeveloped except for a few sugar refineries?!" he wrote upon returning to Prague. "This is false. Almost a quarter of Cuba’s labor force was employed in industry where the salaries were equal to those in the U.S.!" The Castro brothers and Che Guevara converted a nation with a higher per capita income than half of Europe, the lowest inflation rate in the Western hemisphere, a huge influx of immigrants and whose unionized workers enjoyed the 8th-highest industrial wages in the world into one that repels Haitians. And this after being lavished with Soviet subsidies that totaled almost ten Marshall Plans (into a nation of 6.4 million.) This economic feat defies not only the laws of economics but seemingly the very laws of physics. One place where Cuban exiles agree wholeheartedly with Castro and Che is regarding their exalted posts as Third World icons. He and Che certainly converted Cuba into a Third World nation. David Green has much to learn from one of NPR’s other Cuba correspondents Nick Miroff, who’d never attempt anything as crude as Green’s recent morning edition. Miroff, who also contributes to the Washington Post, is married to the daughter of one of Castro’s top KGB protégés. Miroff’s late father-in-law Manuel Piniero founded and headed the Castro regime’s secret police and international terror agency the Dirección General de Inteligencia (DGI.) As often happens to top players in his profession, (Yezhov, Yagoda, Beria in the mother country) Piniero himself was offed in 1995 after his usefulness to the Castros expired. Not that you’d guess any of Miroff’s background (and what might be influencing his NPR and Washington Post “reporting”) from the Washington Post and NPR bios of their valued Latin American correspondent.